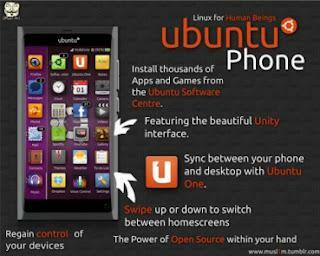 Ubuntu OS for Smart Phone Coming Next Year? The launch of the Ubuntu operating system to smart phone closer. Canonical, the company sponsors Ubuntu hinted that Ubuntu for smartphones is likely to be present next year. Development OS for smart phones is still continuing to this day. When Mark Shuttleworth, founder of Canonical, ditannya will release this year or next year, he simply answered 'maybe' with no mention at the time exactly. While John Barnard, global marketing manager for Canonical to comment on the words of Shutteworth. He said that the possibility for the smartphone OS will be available next year. When released, the OS for the smartphone will not be instantly downloaded for free as the desktop version, but will be given to the manufacturer's first smartphone devices. OS smartphone Ubuntu uses the same kernel Android. Bernard also claims users will feel the same experience with Ubuntu for the desktop version, including the Ubuntu Software Center and the user interface.